In April we saw the Air Max 95 and 97 dressed in fun colorways for the Terrazzo Pack, and this month both silhouettes will get another makeover of multicolor goodness. 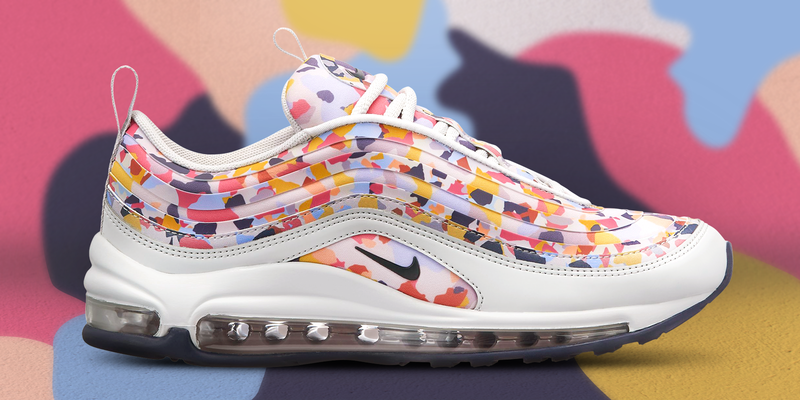 The Air Max 97 has the majority of the confetti print on the upper by the laces and traditional 97 ripples, while the 95 will see its makeup on the bottom half of the upper and a splattered paint design on the midsole. Both are ready to set you a part from other Air Max colorways and perfect for warm weather athleisure. Check out the latest Air Max 95 and Air Max 97 on 5/10 at finishline.com.